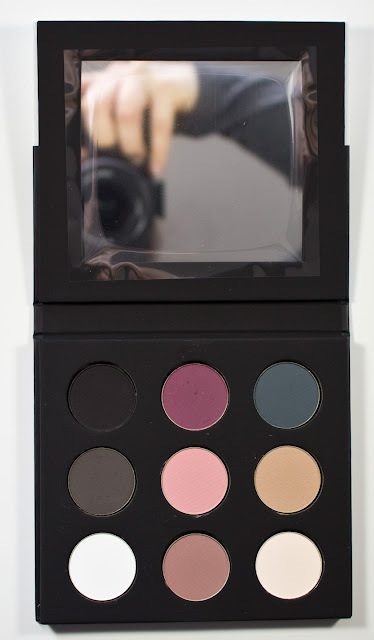 WARPAINT and Unicorns: MAKE UP FOR EVER Artist Palette Volume 4 – Shadows : Swatches & Review. 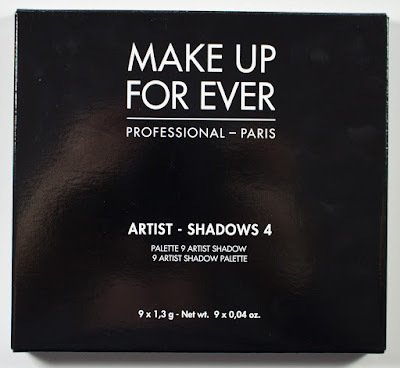 MAKE UP FOR EVER Artist Palette Volume 4 – Shadows : Swatches & Review. 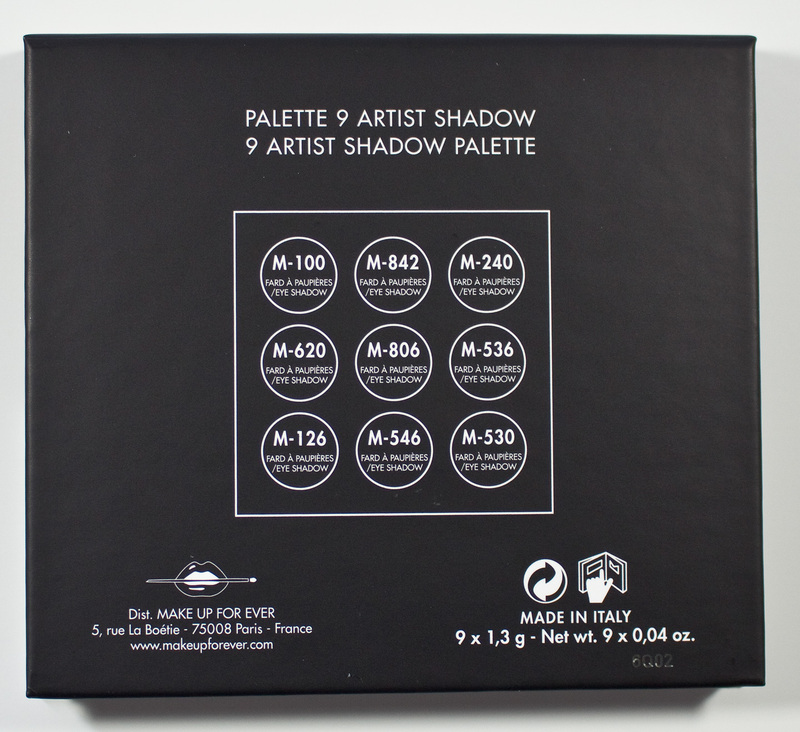 The MAKE UP FOR EVER Artist Palette Volume 4 – Shadows retails for $44US or $52CAN for 9 x 0.06 oz worth of product. 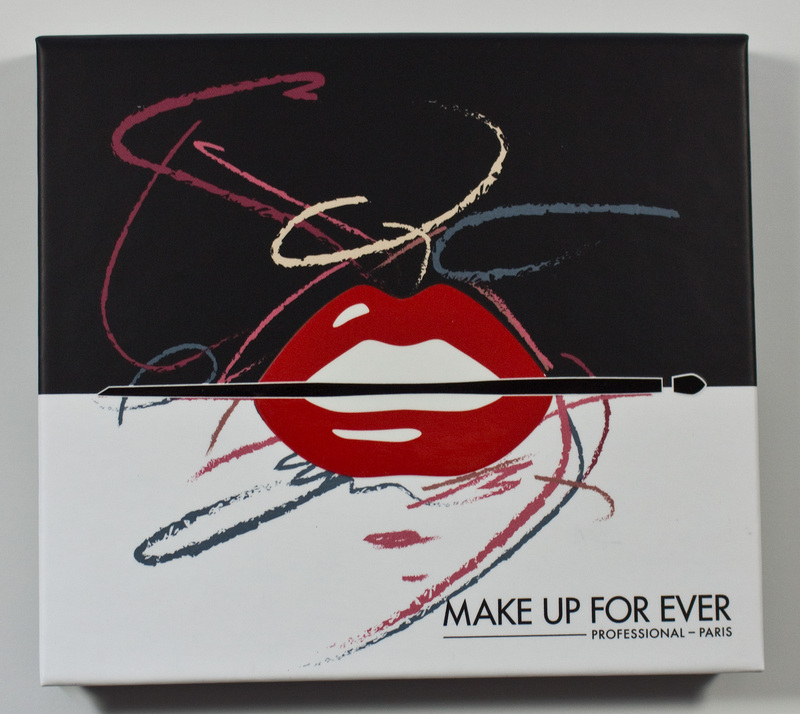 MAKE UP FOR EVER Artist Palette Volume 4 – Shadows palette lid. 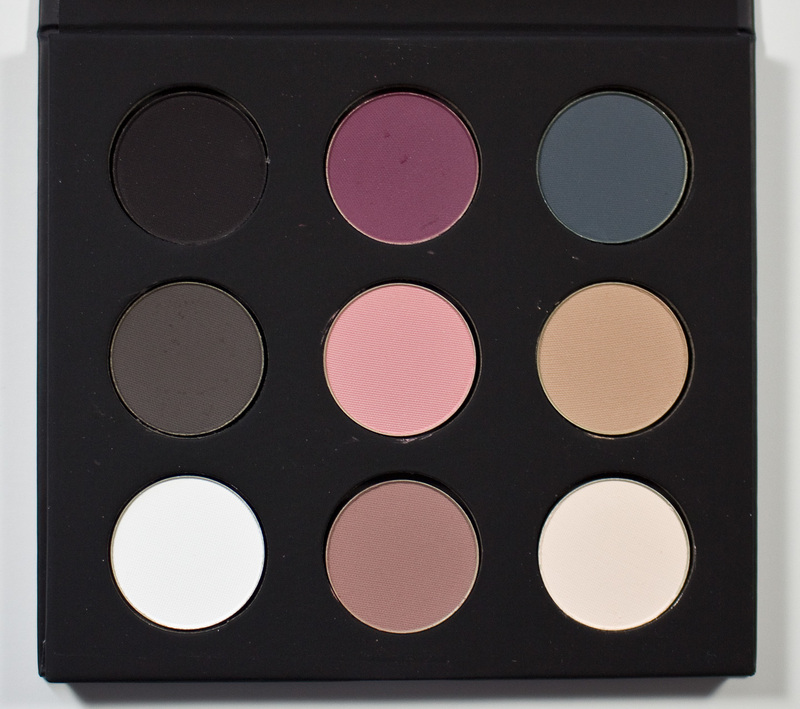 MAKE UP FOR EVER Artist Palette Volume 4 – Shadows palette bottom. MAKE UP FOR EVER Artist Palette Volume 4 – Shadows box art. 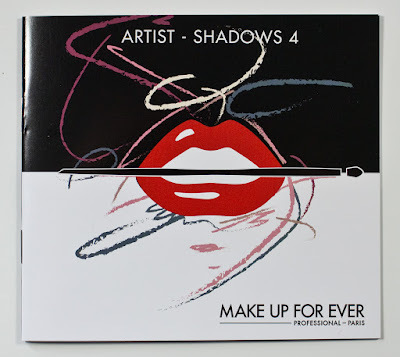 MAKE UP FOR EVER Artist Palette Volume 4 – Shadows Instruction booklet. MAKE UP FOR EVER Artist Palette Volume 4 – Shadows in M-100 Black, M-620 Grey Brown, M-126 Chalk, M-842 Wine, M-806 Antique Pink, M-546 Dark Purple Taupe, M-240 Prussian Blue, M-536 Milk Tea, & M-530 Eggshell. 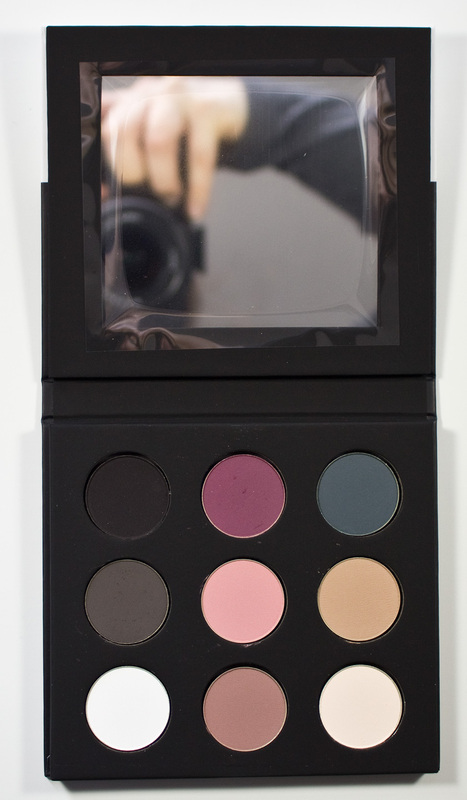 Most of these shadows are buttery in nature and VERY pigmented. I found the shadows glide on with little effort as well. These M (matte) shadows are less buttery than their other formula counterparts but work very smoothly on the skin with exception of the M-100 Black shade being more powdery and dry in nature. M-620 Grey Brown is a cool deep brown with a matte finish. M-126 Chalk is a true white with a matte finish. 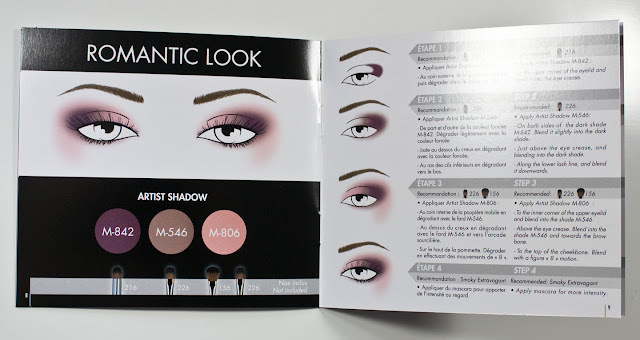 M-842 Wine is a is a deep berry with a matte finish. M-806 Antique Pink is a light pink with a matte finish. M-546 Dark Purple Taupe is a dusty pink brown with a matte finish. M-240 Prussian Blue is a blackened teal with a matte finish. M-536 Milk Tea is a light camel brown with a matte finish. M-530 Eggshell is a is an off white ivory with a matte finish. 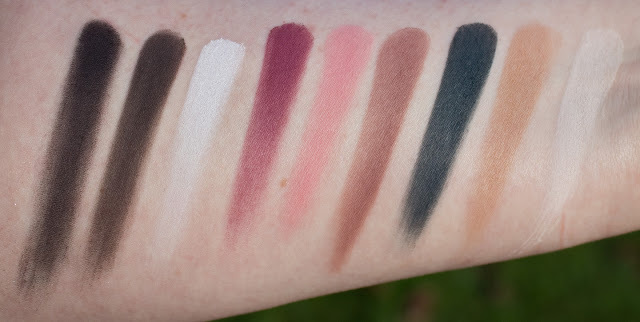 Daylight swatches: M-100 Black, M-620 Grey Brown, M-126 Chalk, M-842 Wine, M-806 Antique Pink, M-546 Dark Purple Taupe, M-240 Prussian Blue, M-536 Milk Tea, & M-530 Eggshell. Flash swatches: M-100 Black, M-620 Grey Brown, M-126 Chalk, M-842 Wine, M-806 Antique Pink, M-546 Dark Purple Taupe, M-240 Prussian Blue, M-536 Milk Tea, & M-530 Eggshell. 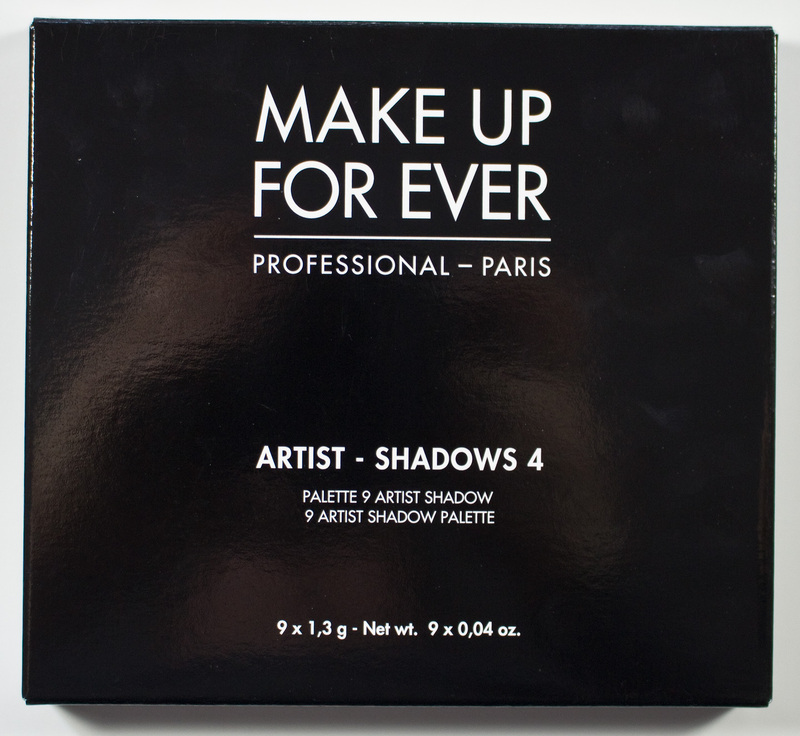 This is another REALLY good deal product wise and the single shadows retails for $24CAN. 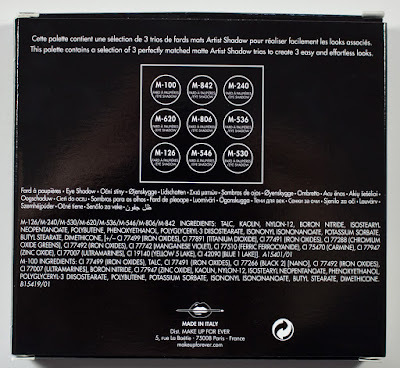 This palette basically covers the price of two shade with $6.75 extra shades! If you looking for a matte eyeshadow I highly recommend this one. 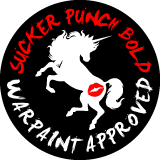 Other than the matte black all of these are buttery to work with and highly pigmented so your getting your money's worth.